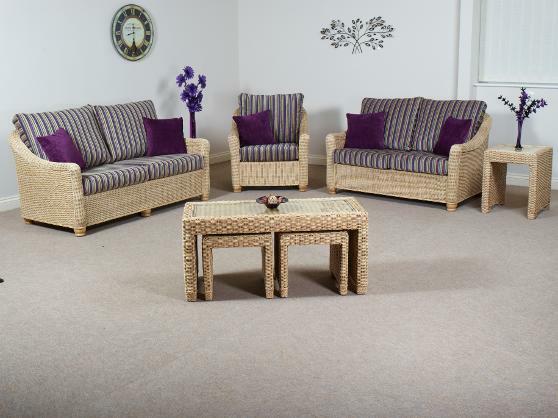 The Colorado range is a contemporary fully woven Rattan suite, with beautiful wrap around arm frames. This distinctive range comes with a stunning glass topped Coffee Table that houses two smaller tables underneath. Shown in NatWash finish with Fantasia 252 fabric.